It's been a busy start to 2017. Last month we brought you advanced input for Apple plus a big launch of our Wear 2.0 standalone app. We're kicking off this month with a brand new Hole19 Premium feature for both Android and iOS, for phone and wearables. Wondering how far you bombed that last drive? 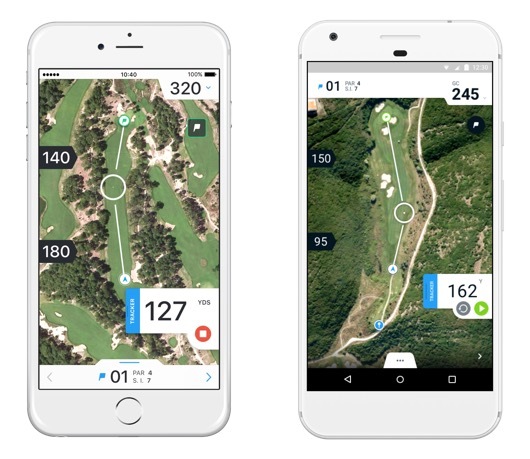 The new Distance Tracker makes it easy for you to find out exactly how far you hit the golf ball. It's the ideal way to measure any long drive competition! Looking at the aerial GPS view on your mobile app, you'll see the 'Tracker' tab. Open this up and start tracking your distance as you walk to the ball, then stop once you're done and brag accordingly. It's that easy. For more information on using this feature in our iOS and Android FAQs. You'll find a new icon on the Hole19 main menu for Distance Tracker; tap to open up the new feature and begin tracking your shot's distance as you walk your way to it. You can find more information on using this feature in on a wearable in our iOS and Android FAQs. Pro Tip: Use the golf Distance Tracker to keep your club distances in the 'My bag' section up to date and accurate. This way your bag and stats will always be on point. find out more about Hole19 Premium.